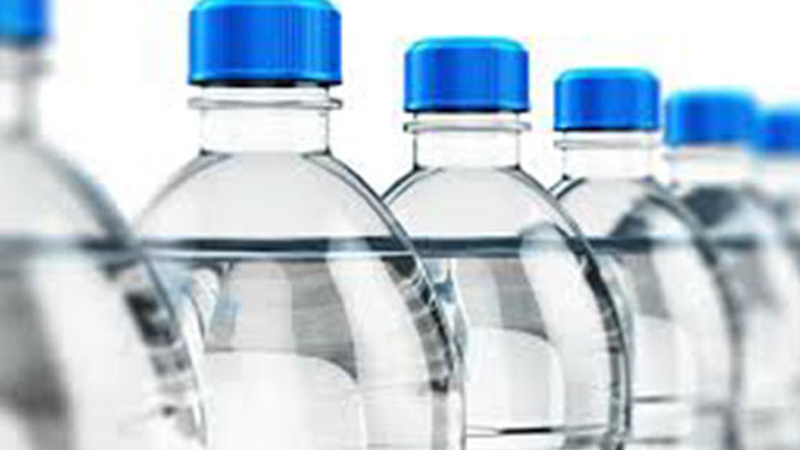 Supreme Court (SC) has directed all four provinces to implement orders in order to impose tax on bottle water within ten days. The dateline is fixed for January 20, 2019. In a judgment on extraction of sub soil and using pipeline water by bottle water companies for their end product, a tax has been imposed at a rate of Rs one per litre on manufacturing and in addition a penalty of Rs 3 per litre would also be charged. The SC has also directed all companies including fertilizer, petroleum, refinery, tannery, textile, garments, marble, energy, pulp, paper, cement, sugar, ethanol, pharmaceutical and other industries using sub soil and pipeline water in great quantity to ensure treatment of waste water. Moreover, SC in its directive also ordered food departments of provinces to check quality of bottled water and beverages other than food products on regular basis in order to ensure quality of products suitable for human consumption. A water expert, Dr Muhammad Ashsan Siddiqui in his report submitted in SC has given details about companies involved in water business and beverage manufacturing. In his research report, he informed SC that these industrial units have been involved in polluting sub soil water as their waste water discharge was flowing into deep down ground water, thus making water toxic. In this respect, SC has also directed all Advocate Generals of provinces and administration of Islamabad Capital Territory to ensure implementation of SC directives in this connection. Moreover, Federal Board of Revenue, concerned provincial departments and government departments to ensure Court that implementation of orders has been taken in true spirit. This action was taken on suo moto by SC on extracting government’s land resources by private bottled water companies without giving any kind of tax for using natural resource of land. There are around 300 such companies including beverage manufacturing units in the country. The SC in this context has also directed bottled water companies that they would not increase prevailing current retail price. In addition, SC has also directed each of the bottled water company to ensure plantation of 10,000 trees at places of their own choice including within their production units’ premises. A three members SC bench, comprising Justice Umer Atta Bandial, Justice Faisal Arab and Justice Ejaz ul Hassan would monitor implementation process. SC has directed all concerned departments of all four provinces for submission of first implementation progress report in SC by January 31, 2019. Moreover, Secretary Sindh Local Government department Khalid Hyder Shah in a letter RO (LG) court/12(19)/2018 December 15, 2018 addressing all responsible in Sindh said that in pursuance of order November 13, 2018 passed by Supreme Court (SC) as per section-98(a)of Sindh LG Act 2013 and with approval of competent Authority Sindh Chief Minister, this amount has been hereby fixed for industrial, commercial, manufacturing purposes, uses, as interim levy to be collected by council, agency till further policy, legislation by Sindh government. Mayors of Karachi, Hyderabad, Sukkur and Larkana, Municipal Corporations, MCs, chairmen, chief officers and head of district councils, town and union committees have been asked to comply with this directive on matter in question. The civic entity officials have claimed that after imposing Rs 1 per litre water extraction fee, entity would able to generate revenue to Rs 10 billion per annum thus making a total tally of yearly revenue of civic body almost double. In absence of any legitimate Act on matter of sub soil water use, boring of wells and commercial use of sub soil water through Reverse Osmosis (RO) plants and hydrants has been a threat to ground water table. All tube well, wells and bore existing on bed of south bank Lyari River shall be shifted in bed of north bank of Lyari River in order to prevent chances of theft of water from KWSB water sources. Extracting water on pretext of sub-soil water, such attempt shall immediately render licensee to criminal proceedings under section 14-A of KWSB amendment, 2015 to Act, 1996 and all other penal actions for loss or distraction of public property. In these regulation, unless context otherwise requires would stand validity of license, all licenses granted for extraction of sub-soil water for a period of three and for much period as Board would able to supply water, whichever is earlier, grant of license, all licenses would be granted by MD on prescribed form upon written request of president or chairman of concerned industrial estate associations along with no objection certificate by MD SITE Limited or any other representative duly authorized by Secretary Industry or regulatory body. In addition, a no objection certificate of land owning agency in respect of conveyance system, if any shall be obtained period to applying for license and shall be made part of application by applicant and NOCs issued in this regard shall also be admissible. Distance from Board water lines, tube well and or well should be situated at maximum distance as determined by Board from main lines conduit lines, siphons, pumping main or reservoir of Board and in no case should be over or near main water supply lines.